What a spectacular year we have enjoyed! Our 19th APDC in Kuala Lumpur West Malaysia was unbelievable and epitomized how special our members, our society and our global family truly are. 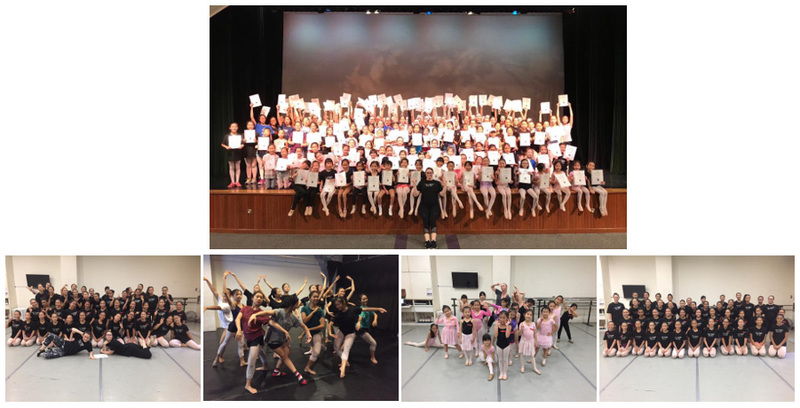 We have celebrated with Dancepointe Singapore our first 300+ Come Dance With Me candidates. 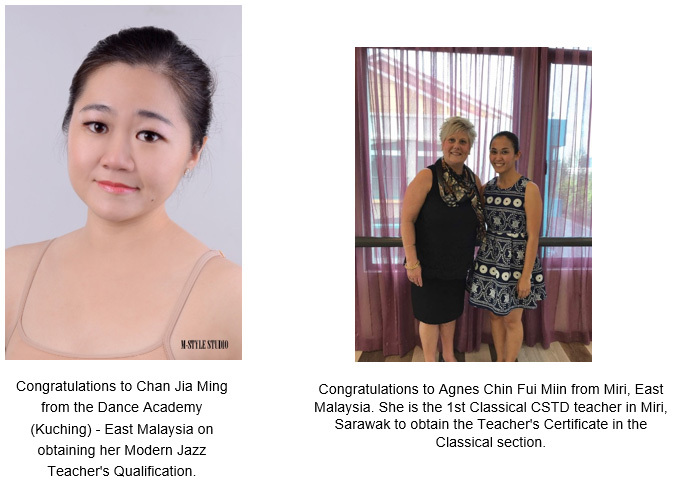 Our regional growth continues to build as we set the benchmark for being the evolutionary society for dance. China , India and Taiwan have seen extraordinary growth and we have begun our journey in Indo China with the Advanced Learning Academy in Phnom Penh , Cambodia. We welcome Cambodia into our international community, as the first step on our Indo China journey. One of the joys of my job is to meet one on one with our members and listen to what they have to say so that I can integrate this into our strategic plan, ensuring CSTD delivers programs that support teachers. We are excited at the prospect of our new Hip Hop syllabus and I am sure this will be value added for all of our studios. As a society we are unique in the range of genres we can offer our members and know that the Hip Hop syllabus will be embraced by you all. We can never offer "too" much to our members. CSTD is a smorgasbord of choice - the buffet of dance. In being so diverse we can ensure there is a genre attractive to every student and opportunities for all our studios to prosper. Keep dancing with love in your hearts and spring in your feet! In closing we wish all our members safe and happy holidays and best wishes for Christmas and the New Year, however and wherever you are celebrating! Looking forward to a great 2018! Examination were again conducted in Cornwall, UK in April of this year. The Big Dance Company are progressing very well & Examiner Mrs Richards was very excited to conduct the very first "Come Dance With Me" Class Performance for the UK. Principal of the BDC, Ms Fiona Richardson said now they had commenced this pre-school program they had received much interest. Mrs Richards said it was fabulous to see the joy in the parents watching their little ones experiment with movement. The picture says it all! Everyone had a wonderful time! All other students applied themselves very well & results were extremely pleasing. 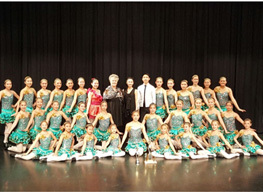 It was with great excitement to welcome one of our newest examination centre - Ignite Dance Studio in Saskatoon Canada. The studio under the very capable guidance of Principal, Michelle Fracchia-West entered students for Contemporary examinations. Mrs Richards also conducted a Theatrical & Performing Arts Workshop and spent time speaking to teachers interested in the CSTD Syllabi. We have now welcomed more members from this city & look forward to CSTD examinations growing from strength to strength. Congratulations must go to the students from Georgia's Dance & Art Cultural Centre for successfully completing their Dorothy Gladstone Modern Jazz Awards. This was the second time that students had entered for these stage examinations, Ms Georgia's students also performed some items which made for a very entertaining afternoon. Other examinations where conducted in the exam room & students worked very hard, Mrs Richards said it was so encouraging to see the students progressing so well through the Modern Jazz Grades. The second CSTD Examination session was conducted over a three day period in Nanjing. 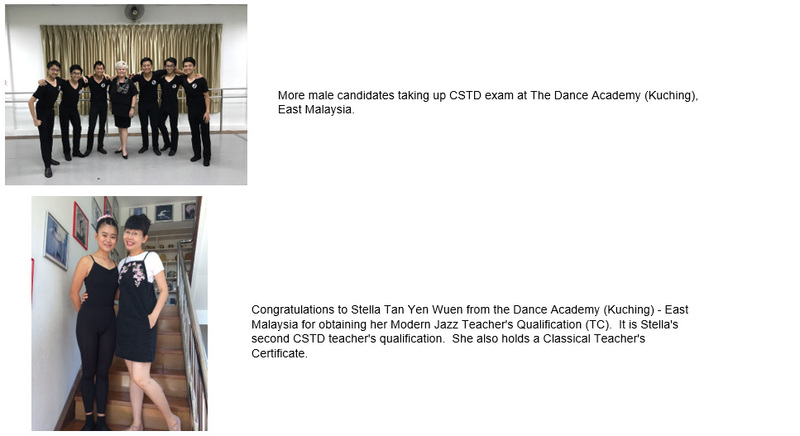 Both Ms Cheung & Mrs Richards examined students from Pre Ballet to Grade 4. All students were very polite & well trained by the many teaching staff that you see in this photo. 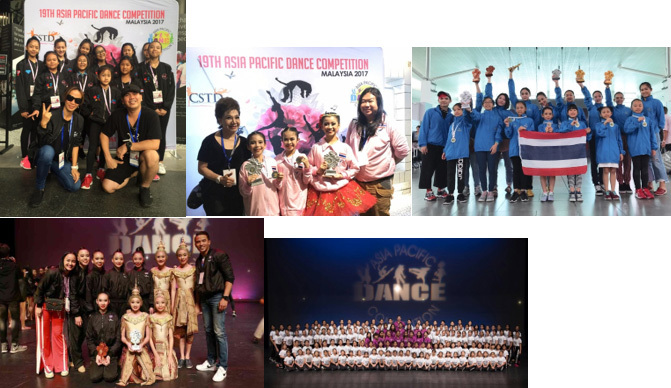 Biggest congratulations to team CSTD Thailand ( 182 dancers from Chiangmai Ballet Academy, Bangkok Dance Academy, Mahasarakham University, Phuket Dance World Studio, Point Studio, and WEDANCE Dance Studio ) for being awarded with 81 prizes, including 2 most prestigious awards, "Best School Award" ( Bangkok Dance Academy) and "Individual Over-all Award" ( Ms. Montarika Jantakan, Bangkok Dance Academy competitor) at "19th Asia-Pacific Dance Competition" KL, Malaysia. CSTD Thailand members who represented Thailand joining the 19th APDC in Kuala Lumpur, Malaysia met with His Excellency Mr. Veera Rojpojanarat, Minister of the Ministry of Culture before leaving for Kuala Lumpur to join the 19th Asia Pacific Dance Competition at The Ministry of Culture. 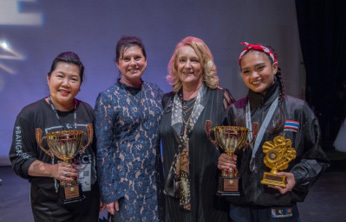 Ms. Debbie McRitchie, CSTD International Director and Ms. Jan Millard, Adjudicator of the !9th Asia Pacific Dance Competition ( 2nd and 3rd from right) with Ms. Wallapa Pachimsawat, Founder and Principal of Bangkok Dance Academy and Ms.Montarika Jantakan - Bangkok Dance Academy competitor (4th and 1st from right) holding 2 biggest and most prestigious awards of "19th Asia- Pacific Dance Competition" in KL, Malaysia. They are "Best School Award" (Grand Aggregate Cup) and "Best Individual Overall Award" (Grand Aggregate Solo Cup). The Ministry of Culture of Thailand by Ms. Chaweerat Lasetsoontorn Phd, the Deputy Minister of Culture (seated 6th from right) held a congratulation party in honor of CSTD Thailand that represented Thailand at the international stage, 19th Asia Pacific Dance Competition 2017 and won 81 prestigious prizes especially both Grand prizes - Best School Award ( Grand Aggregate Cup) by Bangkok Dance Academy and Best Individual Overall Award (Grand Aggregate Solo Cup ) by Ms. Montarika Jantakan Bangkok Dance Academy student.